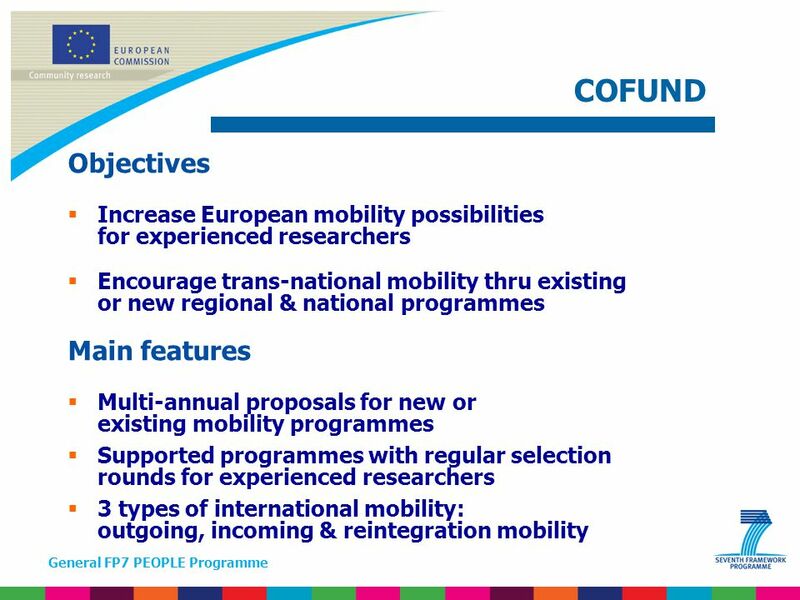 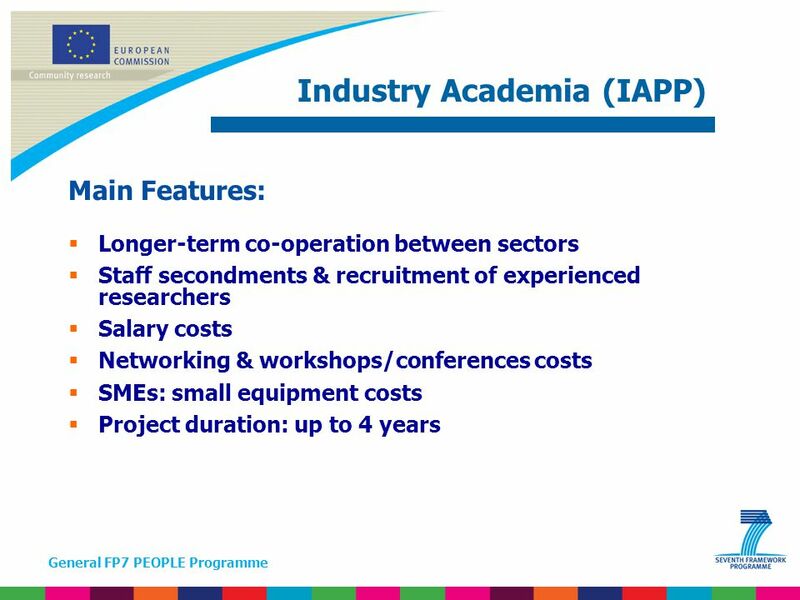 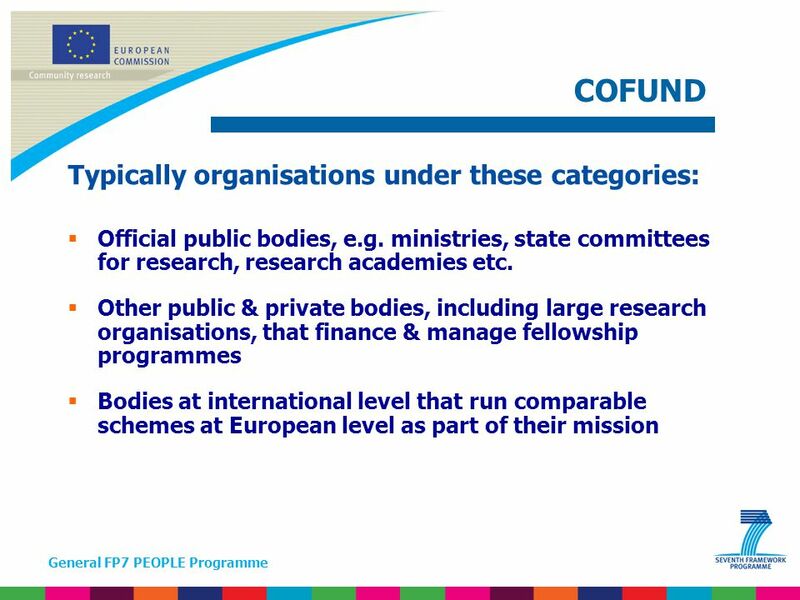 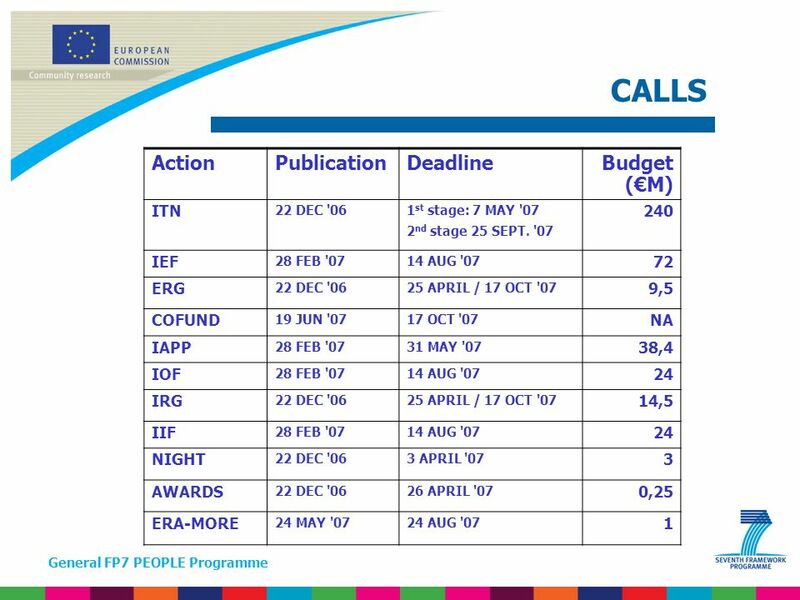 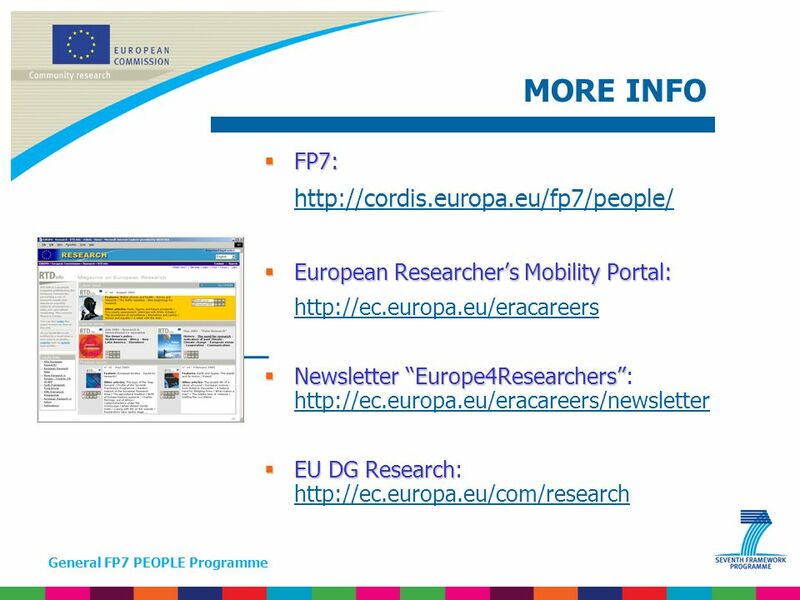 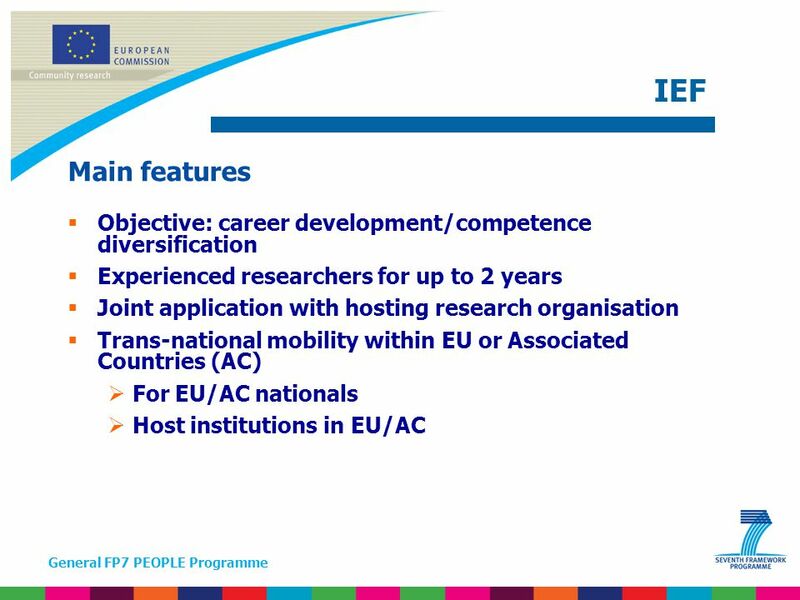 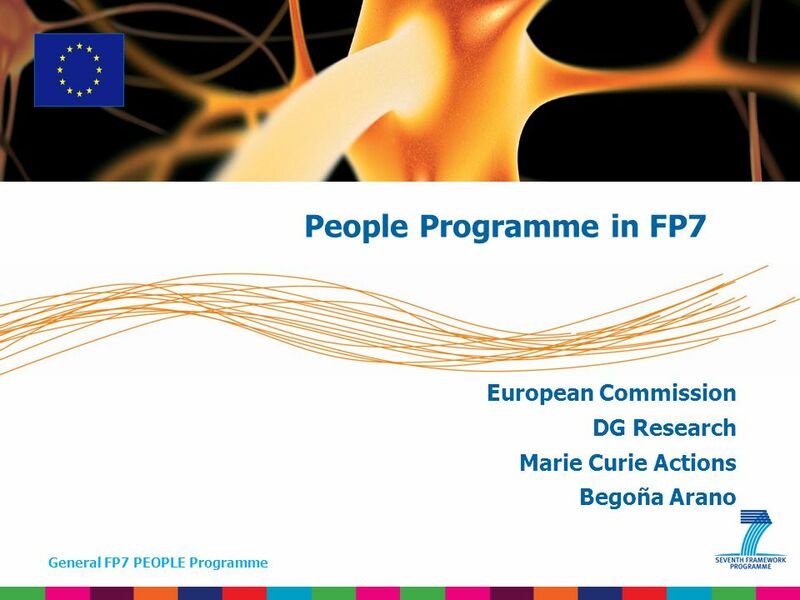 Download ppt "General FP7 PEOPLE Programme European Commission DG Research Marie Curie Actions Begoña Arano People Programme in FP7." 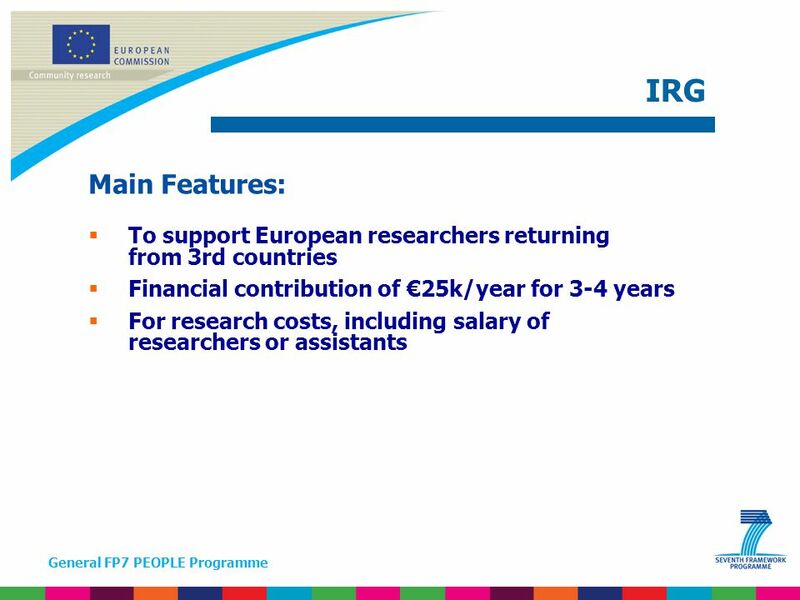 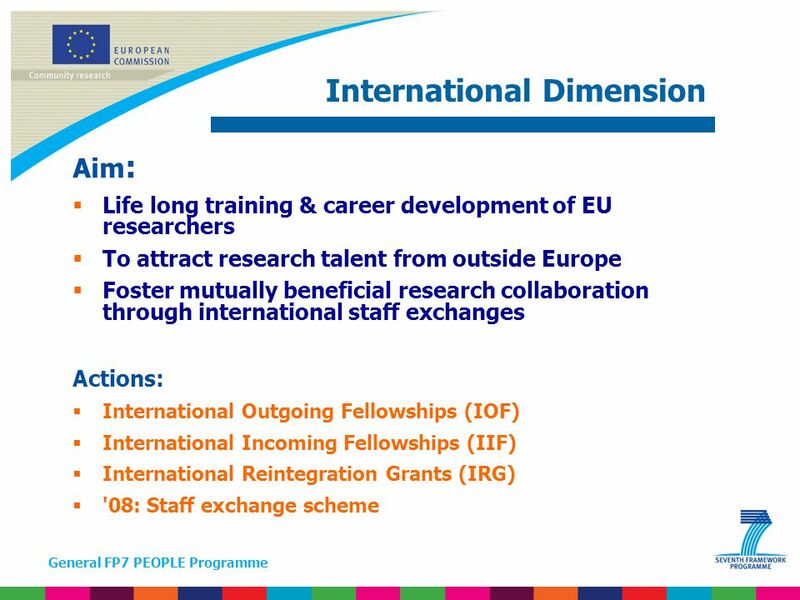 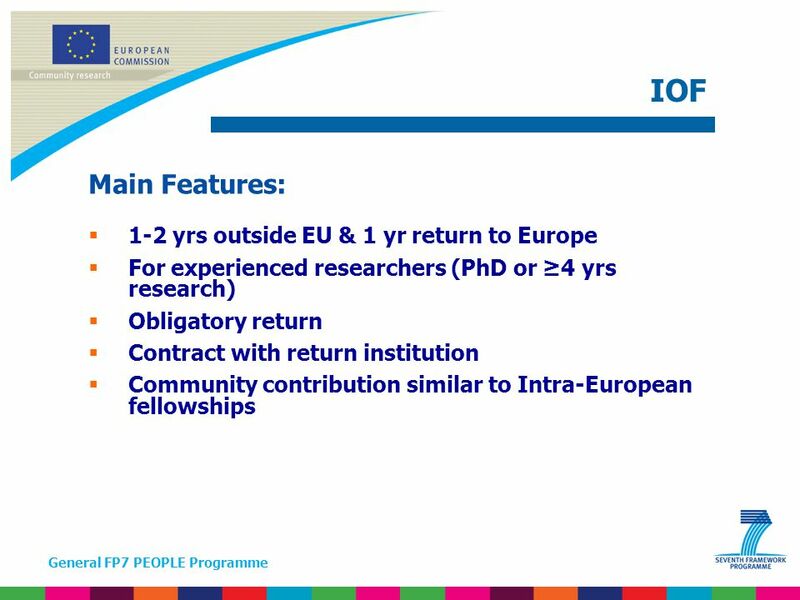 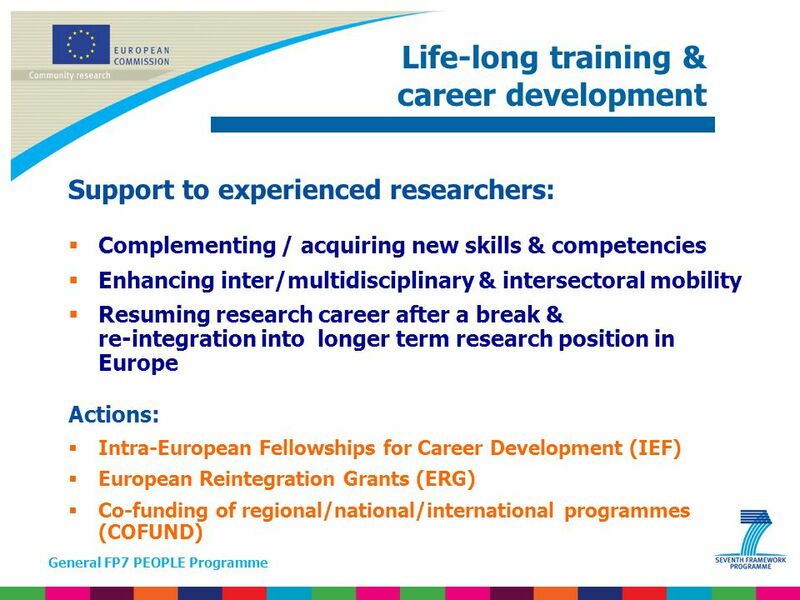 Research and Innovation Research and Innovation Marie Curie Actions Your research career in Europe. 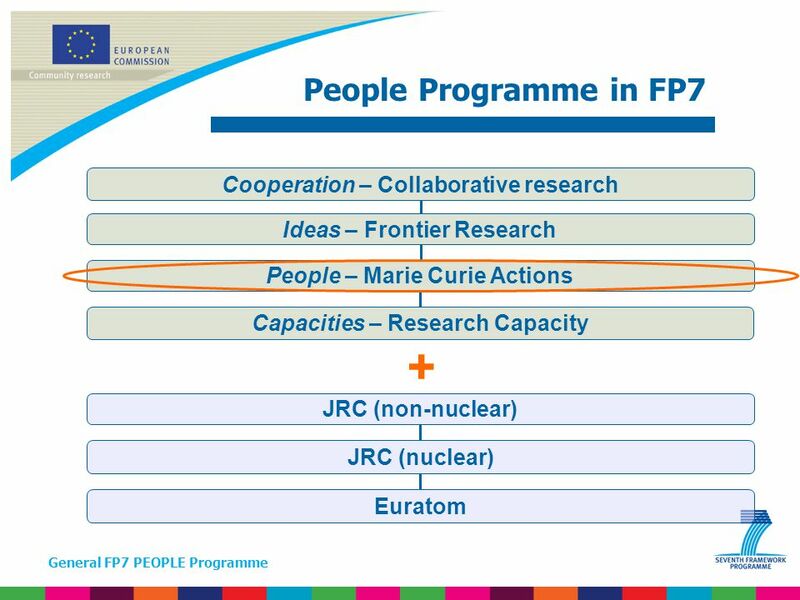 7-8 May 2009, Prague Marie Curie Actions in FP7 European Commission DG Research, Marie Curie Networks Marta Muter. 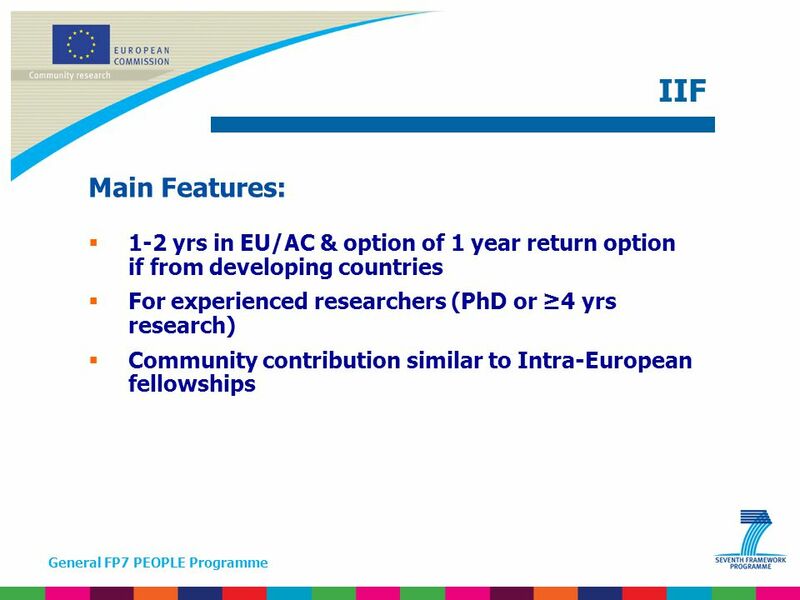 7-8 May 2009, Prague Opportunities for individual researchers in the Marie Curie Actions European Commission DG Research, Marie Curie Networks Marta Muter. 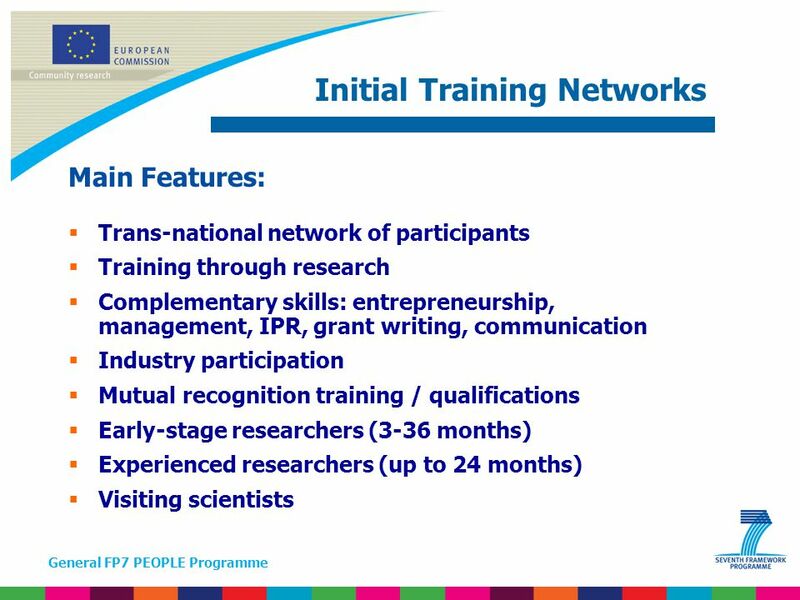 COOPERATION bn (~64%) Health Food, Agriculture and Biotechnology Information / Communication Technology Nano- Sciences, Technologies, Materials and. 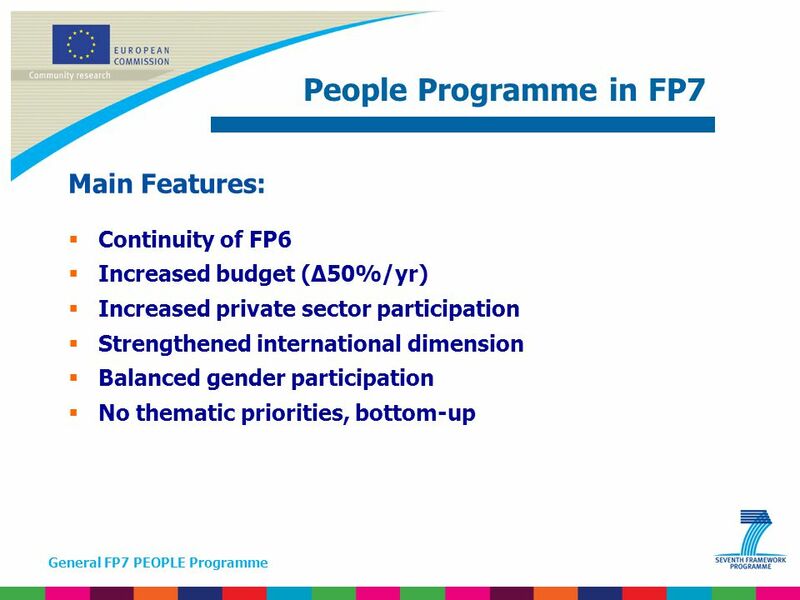 Program PEOPLE Radni program za Prof. Dr Miroslav Trajanovic. 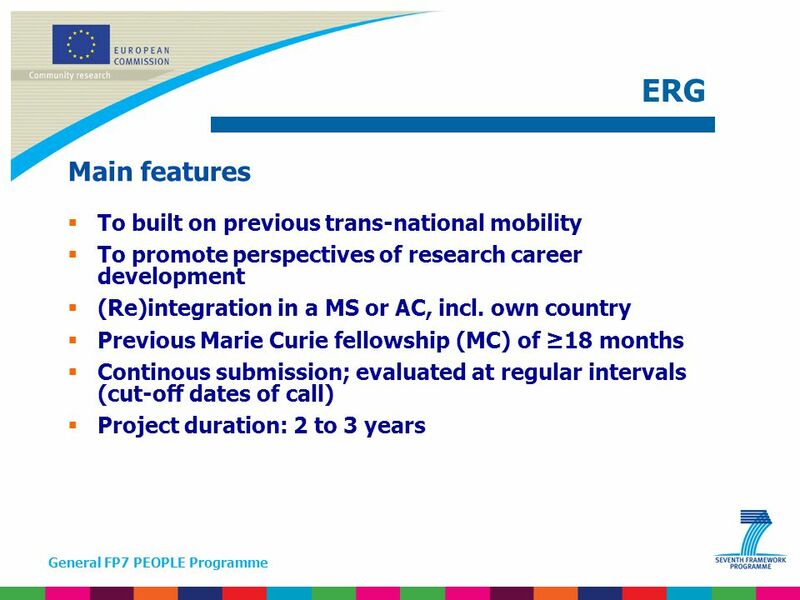 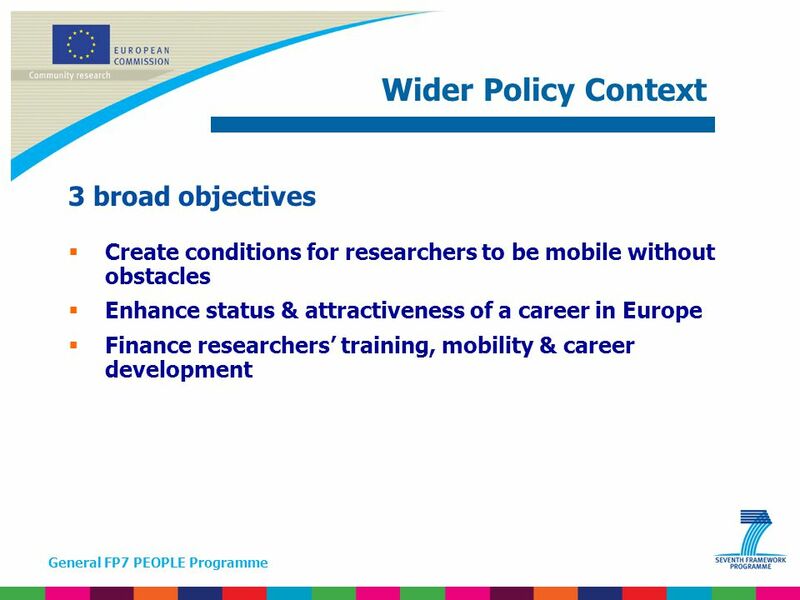 Education and Culture 1.Marie Skłodowska-Curie actions in Horizon Opportunities in and advantages of MSCA 3.Participants, sectors and different. 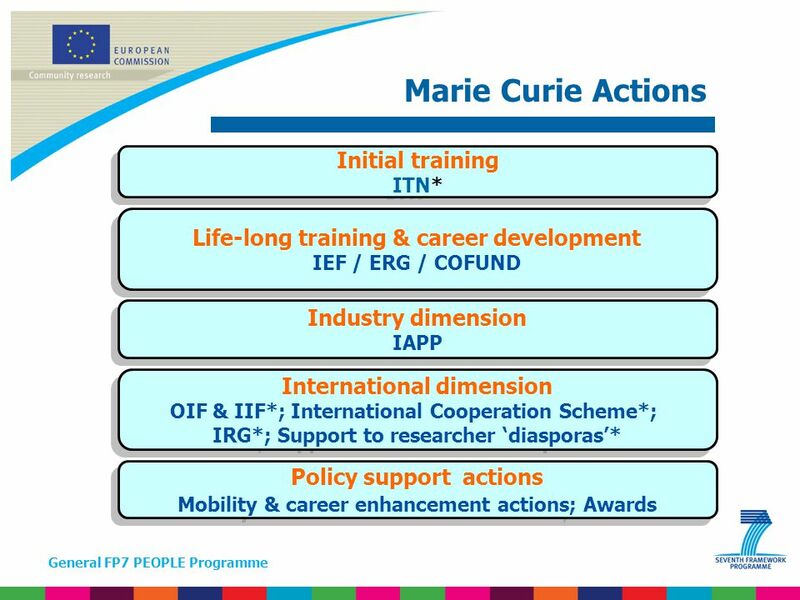 Marie Curie Actions HORIZON 2020 Marie Skłodowska-Curie Actions.